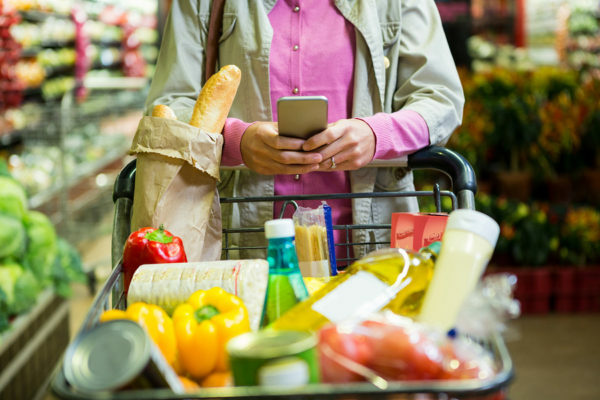 Food brand communication is going through a period of disruption and change, as consumers step away from conventional media to devote more and more time to mobile screens and social channels. Digital-based outreach in both narrative and video forms is where the action is, assuming you’re intent on fishing where the fish are. However, the vast majority of communication in food and beverage categories is essentially re-purposed advertising trying to win a nano-second of attention — in an environment where consumers run from content that appears to be a sales pitch. Just because you’re spending and ‘getting out there’ doesn’t mean your effort is gaining traction or that your communications is delivering the desired effect and business outcomes. It is harder than ever to simply buy fame and attraction. Why? A new challenge is rising up to once again confirm and restate the consumer’s master control over brand engagement: digital resistance. Simply stated, the consumer manages what they’re willing to consume — and anything that starts to look like conventional selling, marketing, feature/benefit communication is getting tuned out. The alchemy of this change is fueled by the sheer volume of marketing activity trying to secure an audience — operating in an environment where consumers direct when, how and where engagement happens. Additionally, consumers have made it abundantly clear they’re interested in content offering help more than hype. Self- reverential brand messaging and product feature/benefit selling are just not cutting it. Yet the temptation to focus on overt selling runs deep in our business culture. We believe that if we’re not showcasing and pushing product features, we’re being derelict in our responsibilities as marketers. Ironically this is the very behavior that shuts down the opportunity for a relationship with those consumers we wish to attract. When communication looks less like marketing and more like coaching and guiding, traction increases. In the 1970’s we reached the apex of the Industrial Economy where the focus was squarely on specialization in the marketplace, and functionality of products aimed at modernizing your life. Marketing was about tonnage of media spend and persuasion. In the 1980’s there was a natural evolution of this condition to the Experience Economy where services rose in prominence along with brand experience in pursuit of lifestyle associations. Marketing increasingly took on the guise of cinematic entertainment. In the mid ’90’s when the Internet truly arrived, with it came the Knowledge Economy and the empowerment of consumers to start managing the relationship with the brands they cared about. This was fueled by the arrival of access to information previously controlled solely by brands and business. Marketing morphed to be more holistic and integrate ad campaigns with promotion and PR tactics. Today, we’re doing business in the Relationship Economy where consumers are on a mission to secure greater meaning and purpose in their lives. Consumers now fully manage the interaction with any brand they deem worthy of mattering — by “liking,” “following,” “subscribing” and “sharing” — and ultimately buying. It is a transformative business environment dominated by the influence of cultural shifts. Brands that demonstrate an empathy towards the authentic experiences and content consumers now find most compelling (like ethical behavior, honesty and transparency) will fair better in creating true engagement with the audiences they seek to court. Brand relationships operate in similar ways to the rules of personal friendships. As long as mutual respect is honored and the character of communication is focused on help over hype, the door to engagement will be open.